If Jacob thought fleeing Esau was tough, he has no idea what awaits him. 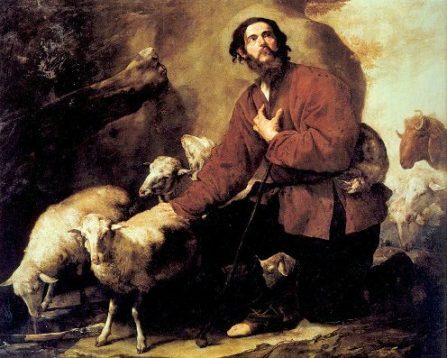 While Laban allow Jacob to marry his daughters, the price for the one he truly loves is fourteen years of hard work, only to be outmaneuvered again by Laban to force another six years of labor for his flocks. But after that time, Father Yah Himself sends Jacob a prophetic dream that paves the way for his emancipation. Yet even when on the road, Laban has one more trick up his sleeve to bring Jacob and Family back to him–but Father Yah stands in the way of that plan once again, because now Jacob must face the reunion with Esau, who comes with 400 men to face him!